Splish Splash it’s time to take a bath! 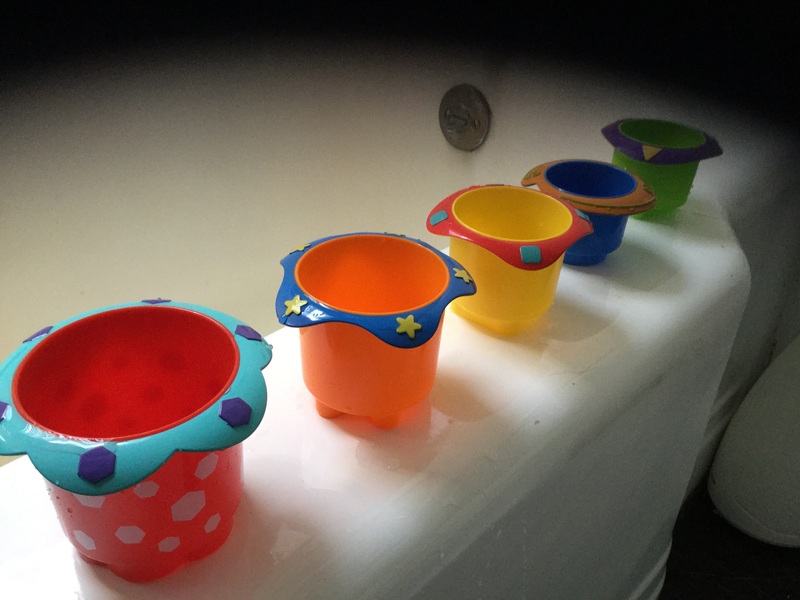 My daughter has a ton of toys that sing, light up and talk to her so its refreshing to find simple toys that spur creativity and imagination like the Nuby Splish Splash Bath Time Stacking Cups. Bath time in itself is a fun event in our home but throw in a few toys and my daughter gets upset when bath time is over. I love the look of the Nuby stacking cups. The design is playful, colorful and eye catching. My daughter didn’t hesitate in grabbing a cup and trying to try to drink from one. She was puzzled at first when the water sprayed out the bottom. But she soon squealed with delight when she noticed the fun waterfall they made. We have some squishy bath toys that my daughter loves but I have had to throw them out. Water was getting trapped inside of them and mold was growing. I don’t have to worry about those issues with these stacking cups. They practically clean themselves with the generous holes in the bottom. I love that! I am so excited to try these out at the pool and on our next beach vacation. I have a feeling someone may never want to get out of the water! Nuby Splish Splash Bath Time Stacking cups are designed for children 9 months and older. They are BPA free and can be purchased at your local Baby Depot at Burlington or online at http://www.Amazon.com. For additional information about these Nuby products, follow Nuby on their social media sites www.facebook.com/nubyusa or www.twitter.com/nubyusa. GIVEAWAY! Click here to win the Nuby Splish Splash Stacking Cups for your little one: http://www.rafflecopter.com/rafl/display/d69e0ad78/? 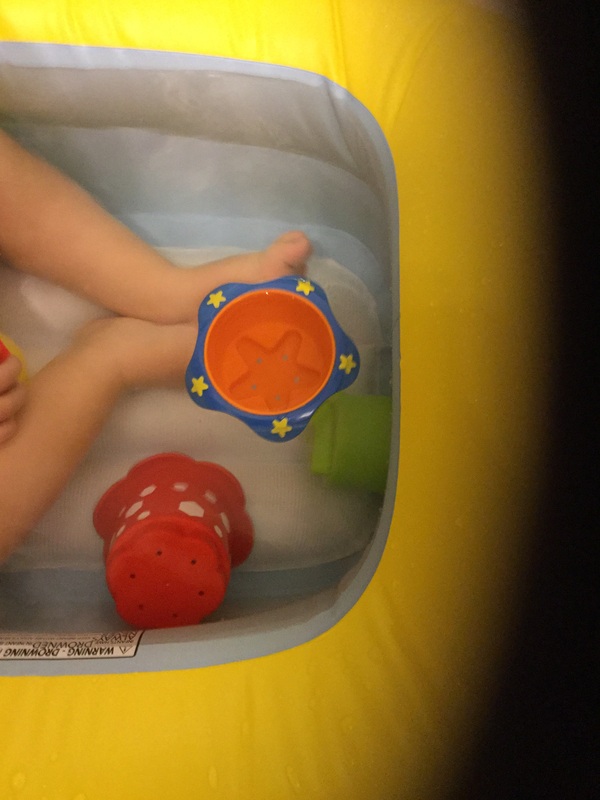 The Nuby Splash cups look awesome and appropriate for any age! Would love to win them! Mom hack #38 for squishy bath toys – use a glue gun to plug the holes before they ever get used in the tub. This prevents water from entering the toy. No water, no mold! Genius!